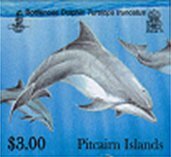 The eastern Pacific hosts a number of dolphin species and sightings within Pitcairn’s 320 km exclusive economic zone are reasonably frequent. Bottlenose dolphin Tursiops truncatus - the common bottlenose dolphin is around 3M long, weighs up to 500kg and feeds on eels, squid, shrimp and wide variety of fish. They are found in the warm and temperate tropical oceans worldwide, in pods averaging 15 individuals. Generally offshore populations are larger, darker, and have proportionally shorter fins and beaks. They can migrate up to 4,200 kilometres in a season and it is estimated that two million are found in the eastern Pacific (a decrease of 7 million from the 1950s). 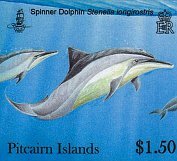 Spinner dolphin Stenella longirostris - this dolphin occurs in all tropical and subtropical waters between 40°N and 40°S. The species is usually associated with inshore waters, however, in the eastern tropical Pacific, they live hundreds of miles from the nearest land. The spinner is a long and slender species ranging from 125–250 cm and reaching a body mass of 25–80 kg. Well known for their acrobatics and aerial behaviours, their spinning behaviour is believed to be related to breathing patterns, swimming energetics, play, hunting, removal of ectoparasites, territory or acoustic communication. 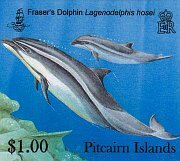 Fraser’s dolphin Lagenodelphis hosei - normally sighted in deep tropical waters between 30° S and 20° N the Eastern Pacific is the most reliable site for viewings. Reaching 2.75 metres and 200 kg at adulthood, they have a stocky build, a small fin and conspicuously small flippers. They also lack a prominent beak which is a distinguishing characteristic of the dolphin. They swim quickly in large tightly packed groups of about 100 to 1000 in number, often chopping up the water tremendously. The species feeds on pelagic (open sea) fish, squid and shrimp found 200 metres to 500 metres below the surface of the water. Virtually no sunlight penetrates this depth, so feeding is carried out using echo location. 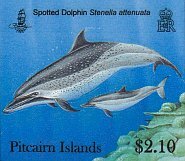 Spotted dolphin Stenella attenuata - found across all tropical and sub-tropical waters around the world between 40° N and 40° S, the total population is in excess of three million. Lifespan is approximately 40 years. This dolphin is very active and often leaps from the sea and bow-rides. The pantropical spotted dolphin's propensity for associating with yellow fin tuna, particularly in the eastern Pacific, has in recent history been a very real danger. Over a period of about 25 years, 75% of this region's population, and over half the world's total, was wiped out. The issue received wide, public attention. According to a study reported in October 2008, negative impacts from fishing activities remain, despite broad “dolphin safe” practices. 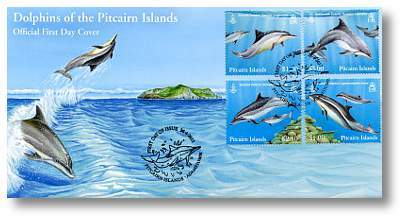 Pitcairn joined other Pacific nations in 2009 by signing a Memorandum of Understanding, which protects whales and dolphins in its region. 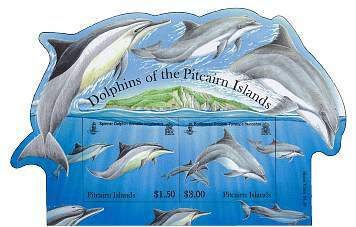 The signing will mean whales and dolphin have a greater protection in waters of the South Pacific territory. 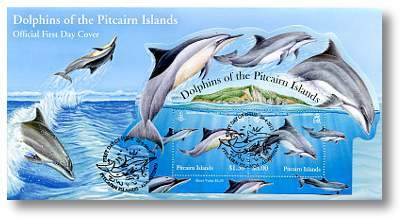 The Pacific Cetaceans Memorandum of Understanding (MoU) is an arrangement under the Convention on Migratory Species, which has 110 member countries. With the recent addition of Pitcairn Island and its 800,000 sq km exclusive economic zone to the list of signatories, the MoU now covers over 10 million sq km of the Pacific Ocean, from PNG to French Polynesia and Pitcairn. Signatories agree to work together for the conservation of whales and dolphins in the Pacific, and to take collaborative action to address threats such as hunting, by-catch in fishing operations, entanglement in marine debris, ship-strike, pollution and the impacts of climate change.